Hemwanti Nandan Bahuguna University has declares the result of B.Com 2nd Year and Final year. 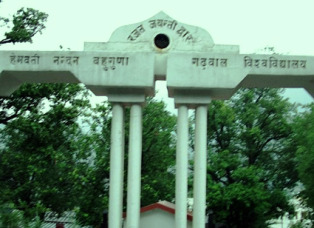 Hemwanti Nandan Bahuguna Garhwal university is a centralize university of the Garhwal region of Uttarakhand state. And various courses are offered by the University. The Examinations was held on April to May month 2013 for session 2012-13. And so many of the students are waiting for their result, so now university has declare the result of B.Com 2nd year and B.Com 3rd Year for both regular and private students. So now you can easily check your results. So Here I am giving you a link to get your result online. Click the given link and fill your examinations roll no. or registrations no. on appropriate box and then you will get your result, but if you not get your result then don’t worry about it. University will soon update your results. For more updates and results stay connected with our site or you can also follow us by email subscription.